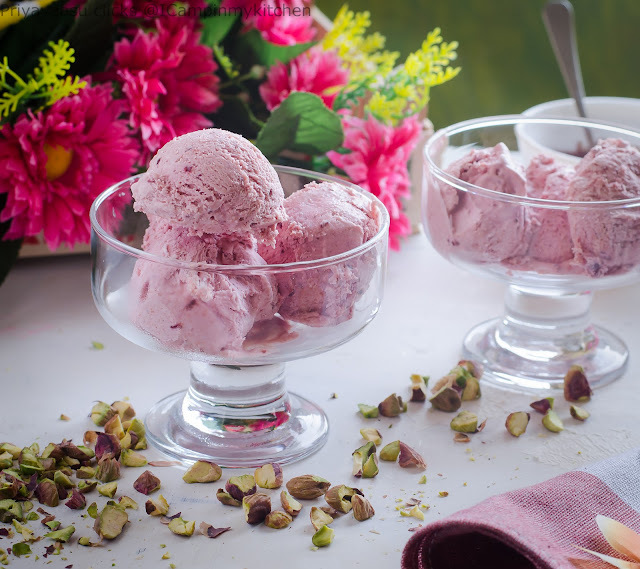 Wow, such a gorgeous icecream, you are torturing me with your beautiful clicks Priya. 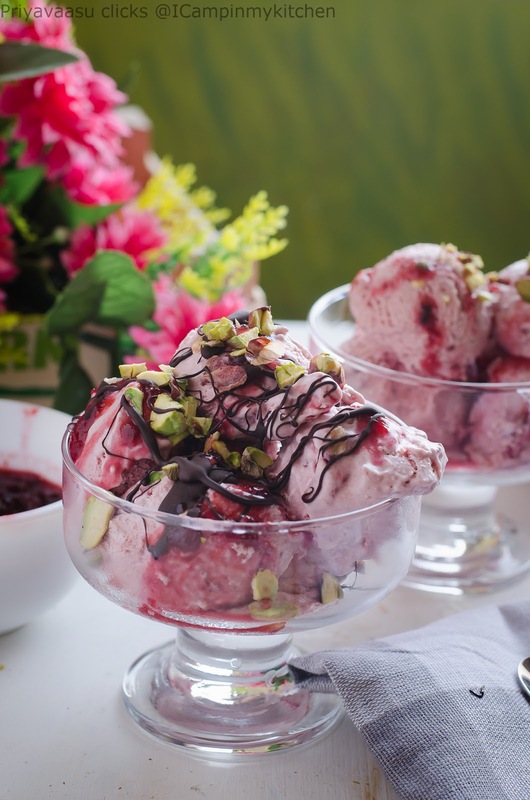 This is a wonderful icer cream Priya. Love the colour the plums have given to the ice cream. Love to grab a bowl..
Looks so yum priya such a wonderful creation. Yummy ice cream.. Absolutely delicious. 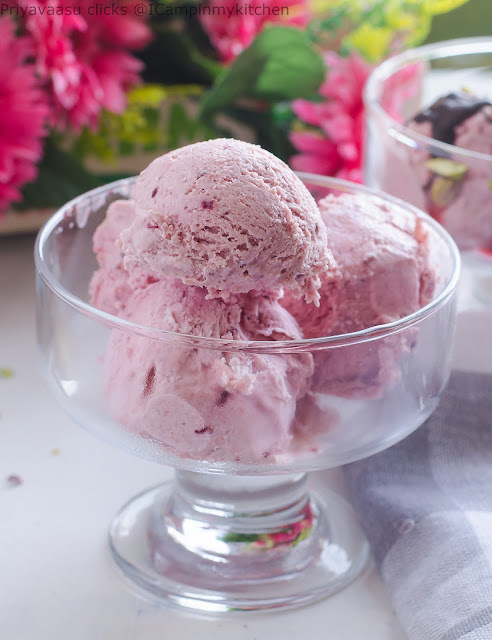 OMG Priya, that ice cream looks and sounds amazing. LOVE the clicks. 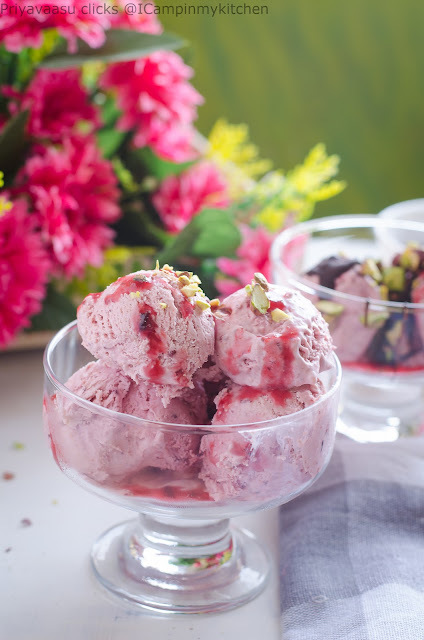 Lovely colour of the ice cream Priya, and have not tried plum ice cream. Its such an easy recipe and love the idea of roasting the plums. Bookmarked for when the plum season starts in Kenya.